This new Joseph Abboud ‘Hybrid’ navy sportcoat includes a number of distinguishing details that set it apart from others. That includes a zippered ticket pocket at the side, two silver-rimmed buttons and patch pockets, which add to a modern, updated look. The lightweight sportcoat is styled with a notched lapel and besom chest pocket. Available online. 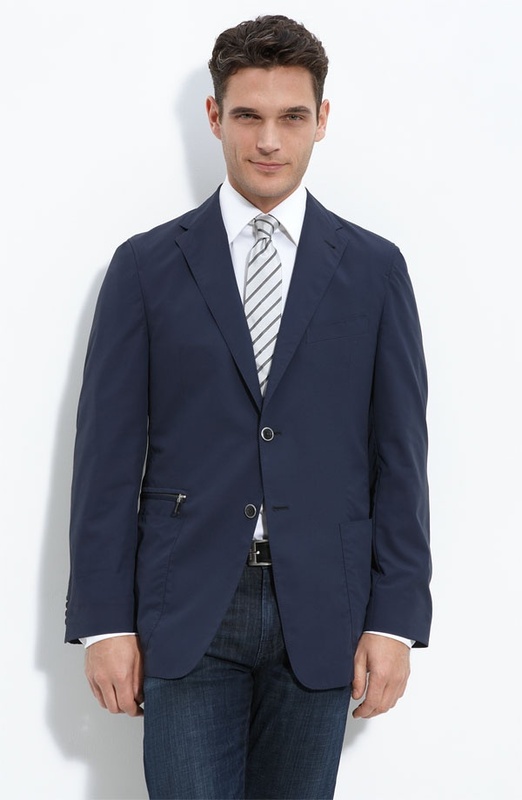 This entry was posted in Sportcoats, Tops and tagged Joseph Abboud, Joseph Abboud Hybrid. Bookmark the permalink.